Classic! 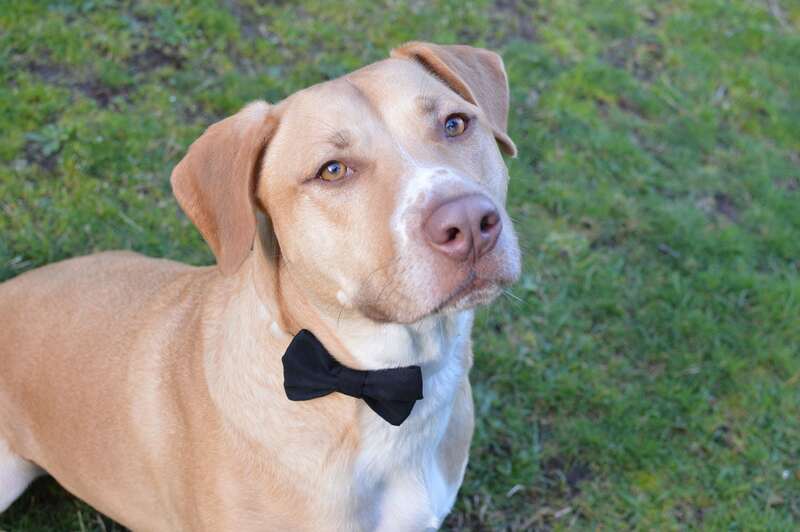 Your dog will look dapper wearing this cute style! 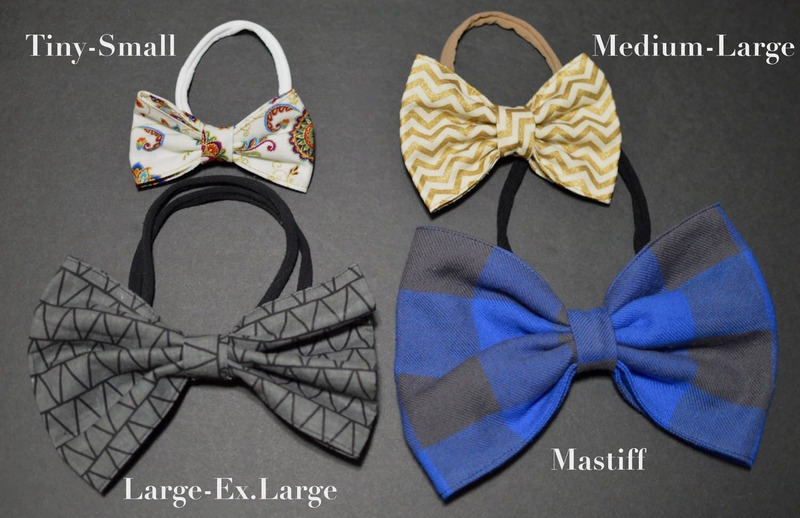 This is a handmade bow tie for your pup! Made with quality, carefully curated fabrics that are fashionable and striking! 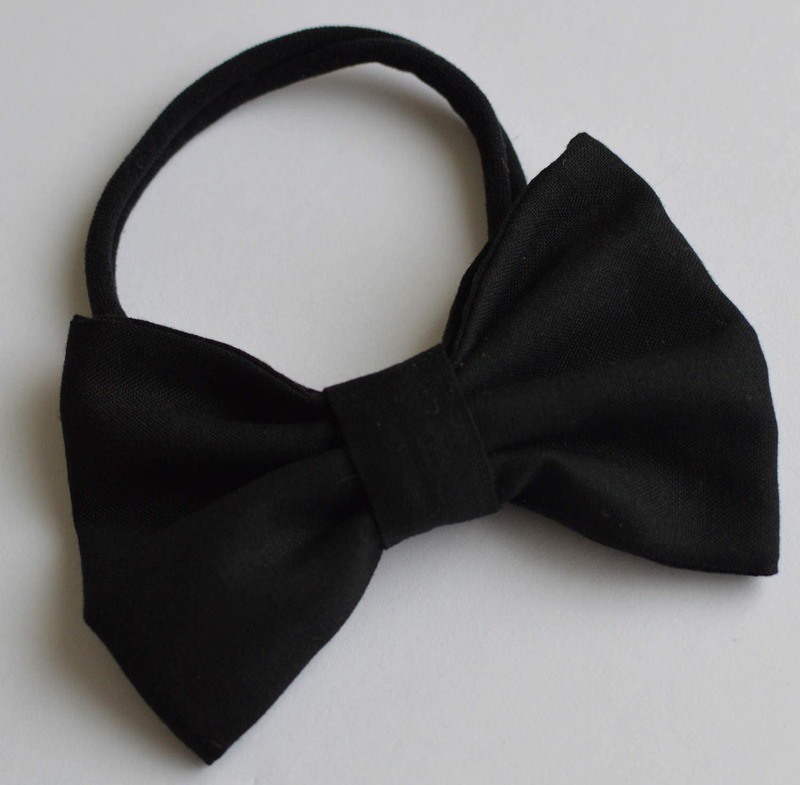 Made in a classic black, its perfect for any special occasion, even the most high end black tie event. (Or just to show how fancy your dog is!) 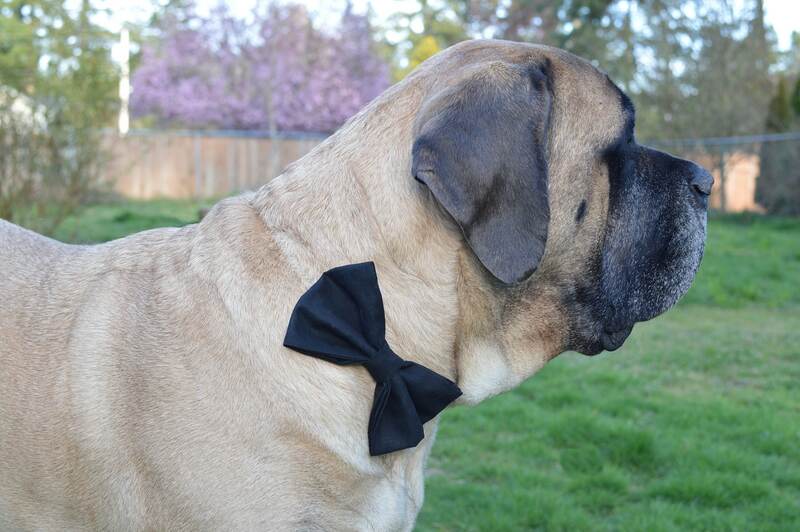 Comes in sizes from Tiny to Mastiff so any size dog can look stylish! The very soft and super stretchy band allows for a very comfortable but snug fit. This style will come with a black band, but we have mocha or white colored if you prefer that instead. 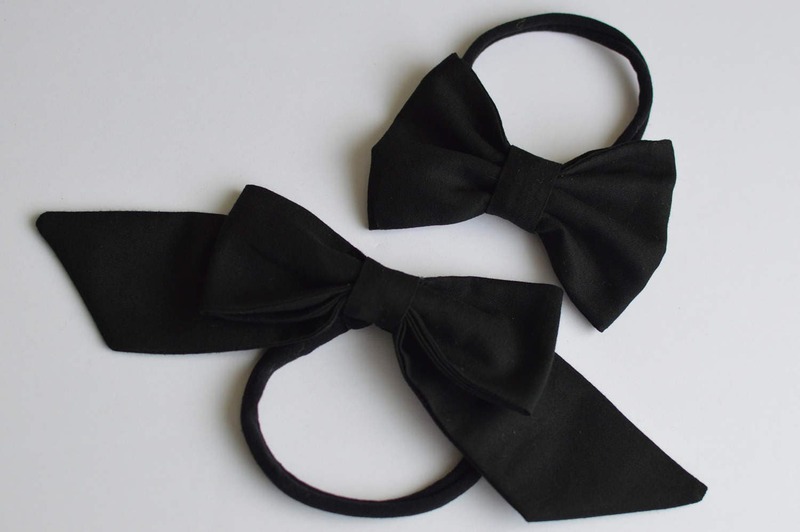 Also available in Bow style.